Thai Massage is often called Thai Yoga Massage, since it originated in India and parts of it are basically applied yoga, yoga done to you. Thai Massage and yoga are members of the same family, and both are hugely popular all over the world. But not too long ago the popularity of both of them was on the decline. So what turned it around? Once I met a woman from India, a journalist in her sixties. She mentioned to me that she still remembers that when she was a teenager, yoga was not very popular in India. There were not many yoga schools, not a lot of yoga gurus, and there just wasn’t so much interest. What happened next? The hippie generation became very interested in anything Indian – Indian clothes, yoga and meditation, Indian gurus and sadhus. Countless Westerners went on pilgrimage to India to do some soul searching, find a guru, meditate, practice yoga, and smoke dope. The Beatles did their part with their Transcendental Meditation guru and some songs which were inspired by India. During the seventies, several Indian gurus went to America and developed huge followings. 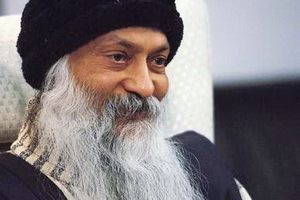 Some of you might remember the Hare Krishnas, Ananda Marga, Guru Maharaji, Transcendental Meditation (TM), Bhagwan Rajneesh (later Osho) and others. In those days it was very fashionable to have an Indian guru. Tens of thousands of westerners began to practice yoga and meditate. 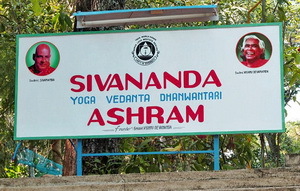 Yoga schools sprang up all over the west and all over India as well. Most of the Indian schools and Ashrams were set up to accommodate the crowds of westerners who were attracted to the eastern wisdom. India produced many teachers and gurus, and their followers often consisted largely of Westerners. Nowadays there are many yoga books on the market, most of them written by westerners. There are many yoga styles that were mostly invented by Westerners. 50 years ago there was no Bikram or Vinyasa or Power yoga. The conclusion of my Indian journalist acquaintance was that today’s immense popularity of yoga happened largely because of the interest of westerners. The story of Thai Massage is very similar. Thailand’s population used to depend on Thai Massage, herbal medicine and shamanic practices for their health care. But with the arrival of modern medicine they gradually abandoned those traditions. A very typical attitude of young Thais is that Thai Massage is something for old people. It is clearly not “cool” anymore, and the young generation much prefers popping pills. During the Vietnam war, Thailand’s capital Bangkok became the favorite vacation destination for American soldiers. Thai Massage was very popular among them, but the emphasis was often less on the therapeutic aspects. It was an easy way for the soldiers to socialize with the female massage therapists and a great way to relax. But Thai Massage as a significant therapeutic system had yet to be discovered by the West. Up until about 25 years ago Thai Massage seemed destined for gradual oblivion. There were hardly any Thai Massage schools, and the young generation mostly disregarded it as an old-fashioned remnant of their parent’s traditions. But then the westerners came to the rescue. A German who went by the name of Asokananda married a Thai woman and set up a Thai Massage school in a village in northern Thailand. He wrote several books about it and his school became well known. His students, not surprisingly, were all Westerners. That was the turning point. Thailand was developing into a major tourist destination, and more and more massage schools opened in all the tourist centers. They mostly cater to the thousands of westerners who come to Thailand every year to study Thai Massage. To this day, with few exceptions, the students in those schools are all westerners. Nowadays there are many Thai Massage books and DVDs on the market, almost without exception written or recorded by westerners. Just like all the different yoga styles, now there is Thai Massage, traditional Thai Massage, Thai Yoga Massage, Thai Healing Massage, Thai-on-the-table, and some other variations, all created by westerners. Today most spas in the world are either offering Thai Massage or are looking for ways to include it in their offering. Yoga has become a household word and is practiced all over the world. Both systems were developed in the East, but the West has to be credited for saving them from a slow fading into the pages of history and for giving them both worldwide exposure. The author, Shama Kern, is the founder and director of Thai Healing Massage Academy. He has been practicing and teaching Thai Massage for 18 years, and he is the creator of 20 online Thai Massage training courses. Above views on the popularity of yoga seems to be very logical and true! After watching the mini courses, I’ve started incorporating some of the movements into my table sessions in addition to stretches. Clients are very appreciative and say how it is much more effective than just stretching by themselves. I got one such comment in session today and thought how much clients will appreciate a full Thai style massage session once I take your home study course and am able to offer it! Congrats on your consulting position. I sounds lovely! Then I am looking forward to seeing you in the home study course. I am sure you will get great results, if your clients already like what you did with a few moves! Thanks for the insight through Thai and yoga. I use some yoga stretches during my table massages,but I make sure I choose the ones that may not make my clients uncomfortable as they are lying down. My clients like it very much and many of them come back because no one has ever touched them well,like the way I do. I am sure that after studying your home study course videos,I will have to design my own type of massage in a good mixture that can be great. Thanks shama. I am sure that you will be able to do just that. It is easy to combine elements of Thai Massage with your table massage and come up with your own style that you feel comfortable with. In fact Shama, you touched my heart when you brought out these revelations concerning Yoga and Thai massage. Honestly i have read about Asokananda and the Sunshine network at Lahu Village.It is the Thai massage school i intend to attend, but after meeting you, i want to finish your online training before i do that. But Shama,did you have an encounter with Asokananda,did he become your teacher since he left the body (died) not long ago. Asokananda did not exactly rescue Thai Massage single handedly. He was the first westerner who started to generate more interest in it outside of Thailand. Wat Po is famous because it is designated by the Thai government as the official place where Thai Massage is preserved. Old Medicine Hospital’s claim to fame is that they teach and preserve not just Thai Massage, but the entire Thai traditional medical system, of which Thai Massage is a part. Asokananda died quite a few years ago. I actually never studied with him since I have developed my own unique style which is different than his style. Most serious, dedicated and passionate Thai Massage therapists develop their own personal and unique style over time. That’s the beauty of the healing arts. There is a lot of creativity and there is always room for growth and evolution of Thai Massage. 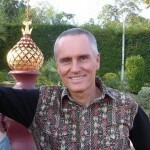 Many people have made important contributions to Thai Massage. Some are no longer with us, and some are still doing it today. I love this article. Very informative! Thank you Shama. Thanks Niko, I am glad you like it! I love reading all your articles and this one was a great insight on how we come to know it today. I am looking forward to signing up and taking your course soon. I look forward to bringing and offering another form of healing to our students.